The bookings for availing Jet Airways' 'Holi' offer on domestic as well international flights can be done till March 6, 2018. Jet Airways' discount offer on tickets can be availed on premiere and economy class. Jet Airways has rolled out 'Holiday Specials' offer for fliers where the airline is offering up to 20 per cent discount on domestic as well as international flight tickets on select flights. The bookings for availing Jet Airways' 'Holi' offer on domestic as well international flights can be done till March 6, 2018, according to Jet Airways' official website - jetairways.com. The travel period of Jet Airways' offer on domestic flight ticket starts on March 10, 2018, and ends on September 30, 2018. 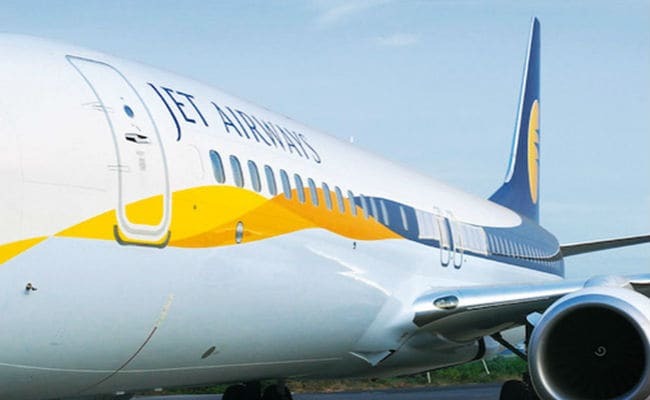 The travel period for Jet Airways' offer on international flight tickets starts from today (March 1), noted Jet Airways. Jet Airways' discount offer on domestic flight tickets can be availed on premiere and economy class. 20 per cent discount is applicable on base fare in premiere and 10 per cent discount is applicable on base fare in economy class of domestic flight tickets, the airline said on its website. Tickets must be purchased a minimum of seven days prior departure for travel in premiere class, the airline added. Tickets must be purchased a minimum of eight days prior departure for travel in economy class, Jet Airways further added. Jet Airways' discount offer on international fares can also be availed on both premiere and economy class on flights from India to Abu Dhabi, Bangkok, Bahrain, Dammam, Doha, Dubai, Hong Kong, Jeddah, Kathmandu, Kuwait, London, Muscat, Riyadh, Sharjah, Singapore and Toronto, said the airline. 15 per cent discount is applicable on base fare in premiere class and 15 per cent discount is applicable on base fare in economy class on flight tickets from India to Amsterdam and Paris, said Jet Airways' in a press release. 1. Jet Airways' discount on domestic flight tickets is applicable on select booking classes. 2. According to the airline, child/infant discount, date change, flight change, refund charges, weekend surcharge, black out period, travel restriction and / or flight restriction will be applicable as mentioned in the fare rule. 3. Jet Airways reserves the right at any time, without prior notice to add, alter, modify, change or vary all or any of the terms and conditions or to replace wholly or in part, the above offer by another offer, whether similar to above offer or not, or to withdraw it altogether, the airline mentioned on its website.